The Institute of Economic Research (IER) is an organization with a long tradition, established on April 1, 1940 as the Institute of East Asian Economic Research of the Tokyo University of Commerce and then reorganized as the Institute of Economic Research, Hitotsubashi University in 1949. The IER has generated numerous outstanding research results through the development of preeminent databases on the economy and society as well as advanced theoretical and empirical analysis and policy research linked to statistical data, earning the high regard of researchers, the research community, and universities and research institutions in Japan and around the world. One of its achievements of particular note is the maintenance of long-term statistics that could be described as the intellectual legacy of the field of economics as a whole, including the Long-Term Economic Statistics Series (LTES) published from the 1960s through the 1980s (14 volumes in total) and its successor, the Asian Historical Statistics Series (planned to make up 12 volumes in total), published since 1998. To strengthen its research functions, in 2015 the IER reorganized its research structure into the following five sections: the Research Division of Theories in Economics and Statistics, the Research Division of Economic Measurement and Statistics, the Research Division of Comparative and World Economics, the Research Division of Economic Institutions and Policy, and the Research Division of Frontier Sciences in Economics. It also currently operates four affiliated facilities, the Research Centre for Information and Statistics of Social Science, the Center for Economic Institutions, the Center for Intergenerational Studies, and the Research Center for Economic and Social Risks, as it advances research through a structure consisting of these five sections and four affiliated research facilities. In fiscal 2010, the IER was recognized as a Center for Empirical Analysis on Japanese and Global Economy under the Ministry of Education, Culture, Sports, Science and Technology's Joint Usage and Research Center Program, and since then it has made available for use by domestic and international researchers a wide range of statistics through initiatives including maintenance and provision of microeconomic data from government statistics. It also promotes joint research using the IER's databases, through public appeals for joint research. Recently, participation in joint research by researchers from outside Japan has been increasingly rapidly, and the Institute's role as an international hub for joint research activities has been growing. As a result, in the fiscal 2018 interim evaluation the IER was the sole Joint Usage and Research Center in the humanities and social sciences to receive the top grade of S. In fiscal 2018, the IER also was selected for the Japan Society for the Promotion of Science program Constructing Data Infrastructure for the Humanities and Social Sciences. Through activities including development of a database of government statistical data, development of metadata such as information on survey questionnaires, and organization of totalized data from government statistical forms and related processing technologies (e.g., totalization built to order, historical statistics, industrial structure databases, and databases for international comparison), as well as translation of these data to English and publishing them domestically and internationally while also improving the usability of individual data, the Institute is developing a comprehensive system to promote the use and utilization by the domestic and international research communities of government statistical data and other totalized and processed data. For many years, the IER has boasted a high rate of adoption of its projects for grants-in-aid for scientific research. One large-scale grant-in-aid for scientific research project currently underway is Service Sector Productivity in Japan: Determinants and Policies (SSPJ) (Grant-in-Aid for Scientific Research [S]). In addition, the projects New Perspectives on Industrial Organization Economics: Incorporating Human Aspect of the Firm (Fund for the Promotion of Joint International Research, Home-Returning Researcher Development Research) and The Value of Matchmaker (Fund for the Promotion of Joint International Research, Fostering Joint International Research) have been adopted as the Institute engages in lively joint research activities. Another of the Institute's distinguishing features is its solid research support structure, which supports these energetic research activities. Specifically, (i) the Faculty Support Office provides support for research; (ii) the Office of Publications support for publication of research results; (iii) the Large-Scale Data Archiving and Processing Section handles data entry and maintenance, support for analysis, Internet security, and other matters; and, (iv) the Institute's Archives as well as the Archives of the Research Centre for Information and Statistics of Social Science perform library functions. In addition, matters such as support for application for Grants-in-Aid for Scientific Research as well as budget execution and accounting are managed strictly by the administration office. This support structure serves as the foundation of the IER's research promotion functions. As human-resources initiatives intended to stimulate research further, the IER has adopted a tenure track system and proactively hires young researchers. In addition, the IER utilizes instructor posts to hire three young researchers as adjunct associate professors for periods of two to three months each, during which they participate in joint research at the IER. 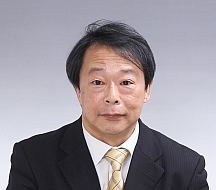 Hitotsubashi University is moving forward on its third Medium-term Plan (2016–21), which identifies three goals related to research results and raising the level of research: (1) generating even higher levels of world-leading research results to contribute to the sustainable development of global society; (2) establishing a solid foundation for academic information and swiftly publishing research results both in Japan and worldwide; and, (3) addressing the challenges faced by Japan and the world by promoting research projects in priority areas, centered on the Hitotsubashi Institute for Advanced Study (HIAS). The IER plays a central role in the University's pursuit of these objectives. The HIAS, established in 2014 as an organization under the direct supervision of the President of the University, is advancing four research projects in priority areas: Globalization and Economic Policies; Development of Macroeconometric Models with Applications to Macroeconomic Problems; Institutions and Policies for Sustainable Poverty Reduction in Developing Countries; and, Norms, Institutions, and Mechanism Design: Theoretical and Empirical Studies for Comprehensive Social Sciences. Since the start of HIAS, the leaders of three of these projects (those other than Globalization and Economic Policies) have been IER faculty members. Under these research projects in priority areas, in August of each year prominent researchers from around the world are invited to Hitotsubashi Summer Institute workshops, and the IER also hosts numerous other international conferences and symposiums in addition to these workshops. For purposes of further growth and development, the IER plans to focus on the following activities in the future. First, it will promote the accumulation, publication, and use of a broad range of statistical data by adding Big Data such as high-frequency data from asset markets and point-of-sale (POS) data to government statistics and historical data. Second, it will generate even more research results based on such data and aim to have these published in peer-reviewed journals. Third, it also will provide useful information as well as advice on systemic design and policy relating to the economy and society. Recently, there have been strong calls advocating for the necessity of “evidence-based policy making,” which stresses study based on actual statistical data, in policy evaluation and proposal. Traditionally, empirical analysis has been one of the IER's strengths, and society has high expectations for its contributions in this field. In recent years, the IER has been advancing diligently research cooperation and personnel exchange with government and the Bank of Japan, as well as government-affiliated and private-sector research institutions. Specifically, through now the IER has concluded research exchange agreements with the Research Institute of Economy, Trade and Industry, the National Institute of Population and Social Security Research, the Policy Research Institute of the Ministry of Finance, the Economic and Social Research Institute of the Cabinet Office, NLI Research Institute, the Institute for Monetary and Economic Studies of the Bank of Japan, the Japan Center for Economic Research, and the JETRO Institute of Developing Economies. It plans to enhance these efforts, advance research reflecting policy needs, strengthen the influence of research on policy, and develop human resources equipped with even more advanced skills for statistical analysis. IER faculty, administrators, and research assistants will work together as one to advance these activities while striving to contribute to society as well.